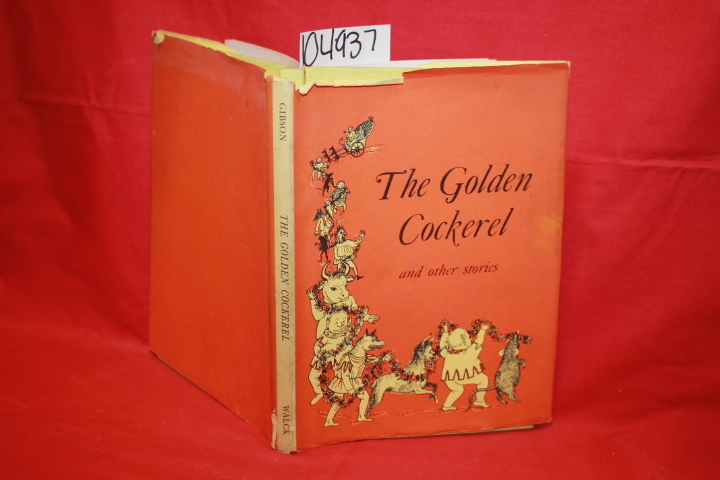 Yellow Textured Cover with Worn Orange Illustrated DJ. very good cover. general wearing and minor tears to DJ. pink and white illustrated endpapers. three stoies of magic and witchcraft from russian opera. very good pages. black and white illustrations. overall in good condition.